WASHINGTON, DC – A Virginia couple has embarked on a trip to Washington, DC this New Year’s Eve for a night of celebration, festivities, and unintentional city sightseeing while looking for a place to park. While many would seem deterred at the impossible odds of snagging a free parking space in one of the most congested cities in the country, Campbell and Foster said they made the best of the situation and saw it as an opportunity to check out some of the city. “We’re optimists, so we saw exploring the streets of DC for a parking place as a cool way of seeing the city,” Campbell cheerfully explained. “I mean, we must have driven past the Capitol building about six times. 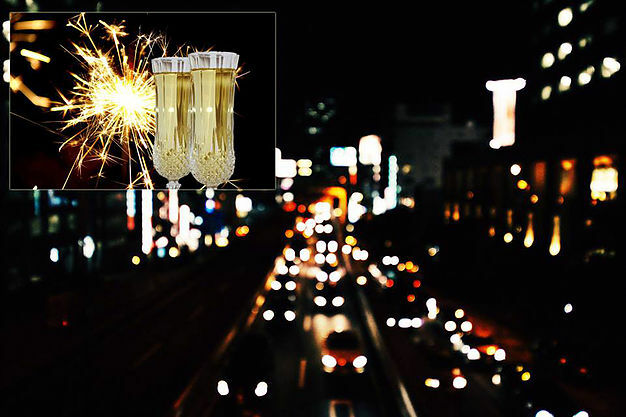 That’s practically visiting it!” She continued on to say that they even got to have their own champagne toast at midnight while sitting at a stoplight on Massachusetts Ave with a bottle they had packed for the road. Even though nary a parking space was found, Campbell considered the evening an overall success, and after over 90 minutes of rummaging through the city, their night finally came to an end when they decided to pay $70 for valet parking at their hotel in Adams Morgan.